The phrase “make hay while the sun shines” means make the most of your opportunities while you have the chance. 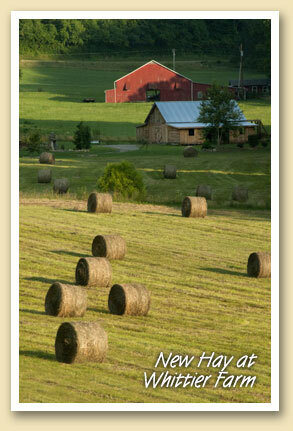 For us, that meant photographing this picturesque scene of freshly-baled hay before it’s all hauled away. Regular Postcard readers should recognize the red Whittier barn, one of our favorite motifs.